I had a holiday party around Christmas time and I made a pot of Bo Kho and Ca Ri Ga. I have to admit I don't make stews very often but I figure it would be a hearty meal and will definitely warm up my guests. That night I had many compliments on my pot of Bo Kho. My friends requested that I post the recipe to my blog with the exact measurements. So for this recipe I actually measured what I can out, but sometimes during the cooking process I forget. But I really want to emphasize the importance of tasting your food. 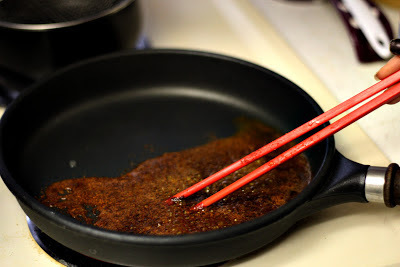 It will help you improve your cooking skills tremendously. Bo Kho would probably not make my top 20 of favorite Viet food to eat because it's simply too heavy for me. I prefer eating pho or bun bo hue over bo kho, but stews are great during the cold Indiana winter. The day after the party, I brought home some bo kho to my family. My sister-in-law showed me a great way to lighten a hearty bowl of bo kho and it made it so incredibly delicious. 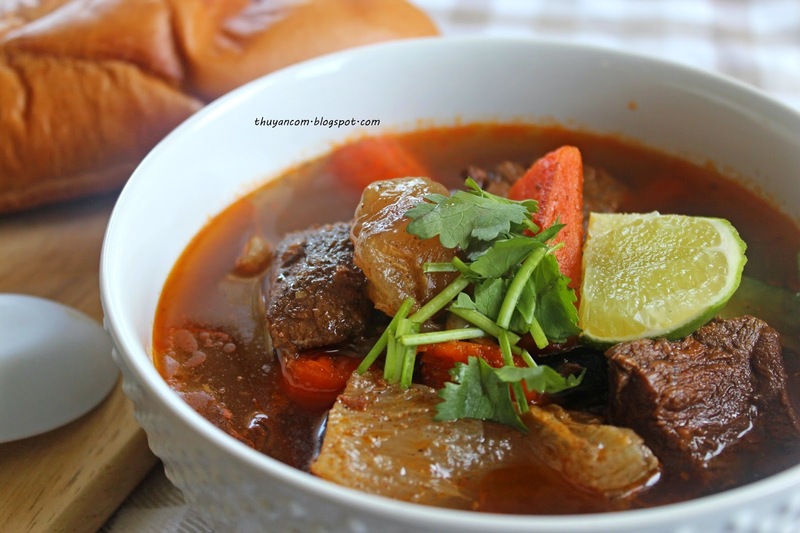 She squeezed two lime wedges to a bowl of bo kho and top it with lots of cilantro. The lime and cilantro added depth and tanginess to the broth. I didn't even care about the star of the dish, the shank, it was all about that broth. 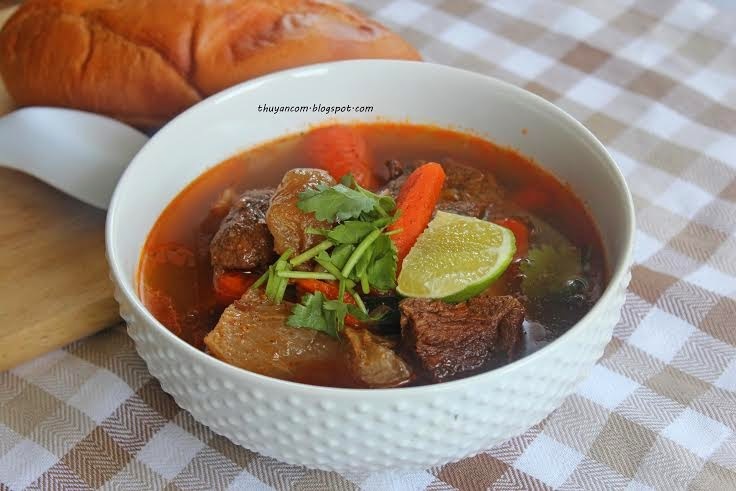 If you haven't tried lime and cilantro with your bo kho, you have to give it a try! 10. Add the carrots last. If you put the lid on the carrots will cooked pretty fast. You don't want to overcook the carrots and become mushy. Adding a hit of lime really does change it up. I like to do a little per bite so I can have some without lime too. Anything simmered and softened like bo kho is real comforting to me. The bo kho here looks great! Ooo, I just made bo kho using a recipe from other popular vietnamese blogs, but it only came out okay, because I didn't have annato seed and they didn't say to use coconut juice. Your recipe looks more like the one my mom makes. 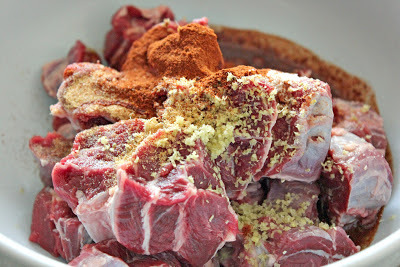 I'll have to try making bo kho again using yours! Looks so good! Which coconut juice do you use? It's different from coconut soda right ?